Have you ever wanted to just scream when you were talking to a professional? You know what we are talking about. You sit down to explain something to a Doctor, Lawyer, Building Designer, or Banker and they already know what is “best for you” before you even say a word. That is not the way it is supposed to work, especially for building your new home. 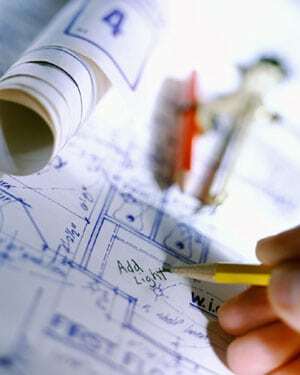 Building design services should be focused on your dreams and ideas, not someone else’s. What is the factor that makes the real difference? It is communication. Here is something you might want to try. Schedule an appointment for a free consultation with Daryl Wood at Drafting Concepts in Queensland to discuss your desire to build a home. Watch how he works with you. There are two things you will notice very quickly. He asks a lot of questions are the first one. The second one is the intensity at which he listens. Daryl knows by listening carefully his ability to design the perfect home for you increases exponentially. His ideas are important, but immaterial until he knows YOUR dreams and desires. 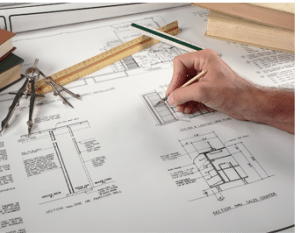 It is not uncommon for people to walk into a building designer’s office and be presented with a stack of floor plans to use as the basis for their new home. It sounds perfectly reasonable except it does not take into account your passions, the way you live, and your visions. It starts pushing you to accept another person’s vision. It is important to discuss your real desires, needs, and style of living before you get wrapped up in floor plans. What looks great on paper may not be what you really want in your heart. The house must have a minimum of 2 bathrooms. We want a formal dining area. The real magic is not when people talk about their list. The magic happens when they start talking about how they plan to use the rooms. When you see a woman get excited talking about her new kitchen and she starts talking about storage, an extra sink, a kitchen island including a built-in stove, and other details you know you have found her real passion in the house. Guys and kids usually get excited about the family room, entertainment area, or whatever you want to call the room where the fun, excitement, and family relaxation time occur. It is those rooms which light up the faces of the clients which need extra emphasis and focus. They need to be sensational and designed to meet the desires of the family, not just their needs. The added magic in building design services is when the designer can start creating the same magic for the family in other rooms of the house. This is why clear communication with a heavy emphasis on listening is what Daryl Woods and Drafting Concepts PTY Ltd in Brisbane and Sunshine Coast bring into every free consultation. They want to know how to make the entire home magical for you. Do not get caught up on listening to the ideas of your building designer first. 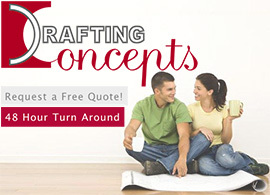 Choose a drafting service which listens to you during a free consultation and gets to understand your needs, dreams, and desires before the discussion of all the fine details of the project creep in. Your home is going to be your treasure for years. It must be special and designed just for you.